Based on 967 customer ratings. What’s better than a generic deep dish pizza? A handcrafted stuffed pizza from Giordano’s, of course! While stuffed pizza is a type of deep dish pizza, our flaky crust makes our stuffed pizza unmistakable. For more than 40 years, Giordano’s has been handcrafting artisanal deep dish pizzas for Chicago-area residents. Now, we’ve brought our time-tested, traditional Italian fare to Columbus, OH. You no longer have to cross state lines to enjoy our food. 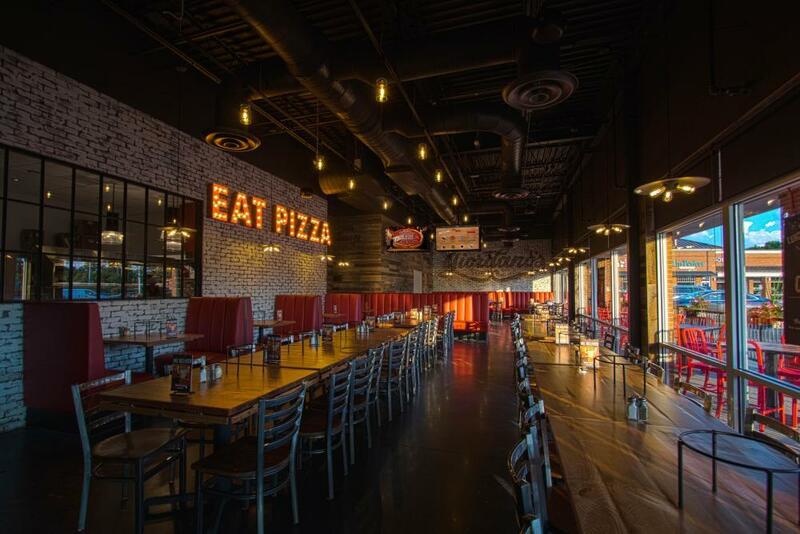 Instead, you simply have to place an order for pickup or delivery or enjoy a scrumptious meal in our new restaurant to get a taste of what’s long been considered Chicago’s best pizza. Every one of our stuffed pizzas is handmade by six skilled pizza artisans who are committed to creating a deep dish pizza that will become a favorite in your household. We’ll fill your pizza with the ingredients you love the most and add the perfect amount of the Wisconsin mozzarella cheese that’s made just for Giordano’s. It takes nearly 45 minutes for us to make just one stuffed pizza because that’s how long it takes for us to slow-bake our double crusts to the perfect level of flakiness. Giordano’s is proud to offer you the pizza that’s been considered the best Chicago-style pizza for years. You don’t have to take our word for it. NBC, CBS Chicago, Chicago Magazine, Chicago Eater, Home & Garden and Concierge Preferred have all declared our stuffed pizza the best in Chicago. Even the New York Times and Chicago Tribune agree that our deep dish is the best around. While we couldn’t be happier that our pizza is considered the best by such respected sources, we’re even more thrilled that we’re able to bring our traditional fare to Columbus, OH. Even though you’ll want to try our pizza, you’ll find plenty of other irresistible options on our menu. From cheesy garlic bread to unbelievable tomato bruschetta to mouth-watering calamari, chicken tenders and wings, our list of appetizers includes something even the pickiest eater in your family will enjoy. In addition to our deep dish pizza, our entrée menu includes hand-stretched and extra crispy thin crust pizza options. Our menu also includes fresh salads, hearty sandwiches and classic Italian dishes like lasagna, chicken parmesan and fettuccine alfredo. Our Italian dishes are available in single portions, or you can feed everyone in your group by ordering a platter and dining family style. Whether you dine in, take out or request a delivery, don’t forget to leave room for dessert! Our cannoli and tiramisu are only rivaled in popularity by our fantastic triple-layer chocolate cake. No matter which dessert you choose, you’ll savor every bite.